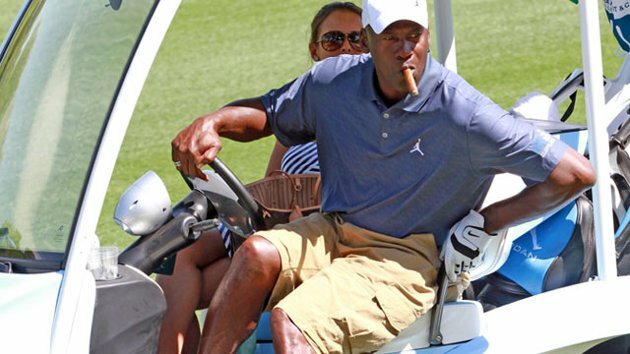 The La Gorce Country Club in Miami, Florida, reportedly kicked Michael Jordan off the links in the middle of his golf game and banned him from ever returning because he violated the club’s strict dress code. Not even Michael Jordan, with his six NBA championship rings, reported half-billion-dollar fortune and worldwide recognition, could escape the policy at the golf course that demands a tucked in collared shirt and Bermuda shorts. The New York Post reports that Michael Jordan was midway through his game when a country club employee approached him and said he had to return to the clubhouse and change into different pants. “I’ve been there many times and no one told me a thing,” Michael Jordan told ESPN Chicago by text message. When the retired Chicago Bulls star refused to lose his cargo shorts, he was reportedly told to leave and that he would no longer be welcome back at the club. “We were not aware that he is not allowed to return to La Gorce. I guess it’s their loss – as MJ is a great golfer, and a great guest,” Michael Jordan’s publicist said in a statement. The country club has not commented on the incident. Despite endorsing a full line of clothing for Nike, Michael Jordan has become infamous for his fashion sense. His appearance at the Ryder Cup in Chicago wearing faded bluejeans and blue puffy vest led to the creation of a blog devoted to his dubious choices in attire called “What the F*** is Michael Jordan Wearing?”. Michael Jordan left the NBA for good in 2003. He is currently owner of the Charlotte Bobcats, one of the worst teams in the league. However, Michael Jordan retains his star power and reportedly rakes in tens of millions of a dollars a year in endorsement deals.